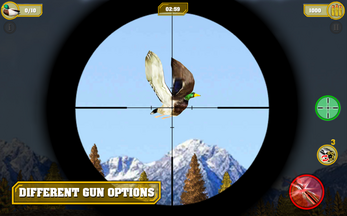 Like in other good hunter games, you have to move the weapon cursor to aim a duck and shooting the bird. 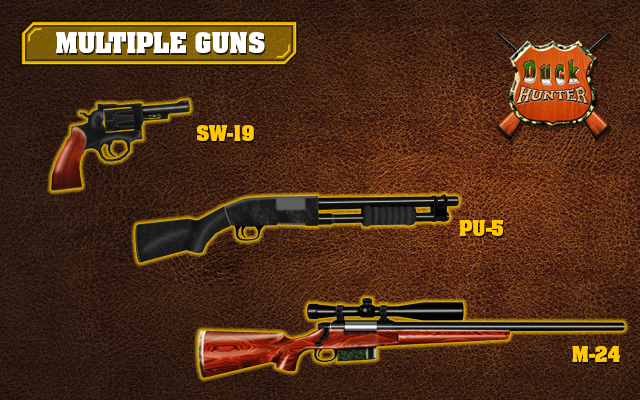 Start with a simple Revolver gun and unlock other weapons to complete the missions and to increase performance of your unlocked weapons for an impressive hunting gameplay. 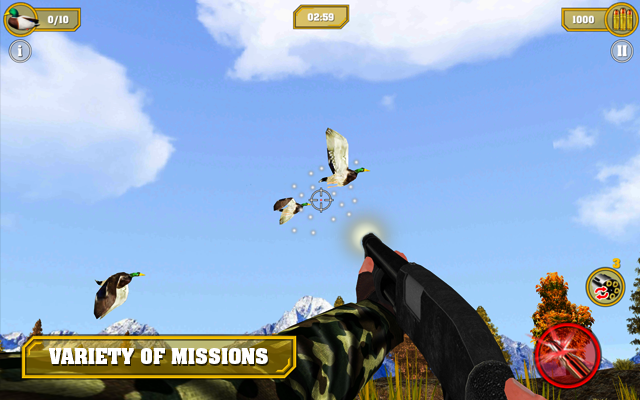 Adjusts sounds and gun speed for an enhanced shooting ambience. By completing a mission you will be rewarded with extra points, but any hunted duck brings points, so accurate shooting makes you richer. 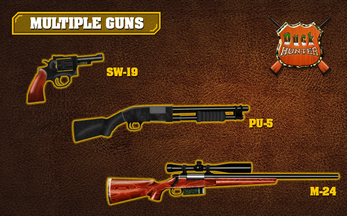 Some missions are not easy, so you may need to use a suitable weapon with higher damage rate or with a sniper scope. Also you have to collect Daily Bonuses to increase your ammo repository. An ammunitionless hunter gets hunted! 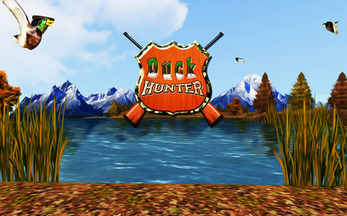 Beautiful nature environment, realistic 3D models and impressive sounds, combined together makes this one of the most beautiful wild shooting games on your mobile device!